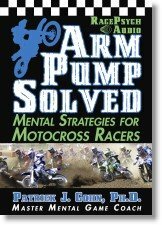 Racing psychology expert, Dr. Patrick Cohn, at racingpsychology.com helps NASCAR, Motocross, and motorcycle racers improve performance and lap times by boosting focus and confidence on race day. 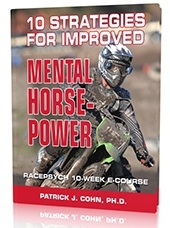 Learn mental game of racing tips and strategies. In today’s psychology of racing session, I answer a question about how to develop young athletes racing confidence. Some sports parents may not realize that their expectations may put pressure on their young athletes. Young athletes may feel they have to race well to please a parent. To develop racing confidence, racers need to focus on their own race plan and not their competitors. Improve your training before race day by supporting your own racing confidence. Listen the podcast on “racing confidence” to learn more about how to prepare yourself for race!